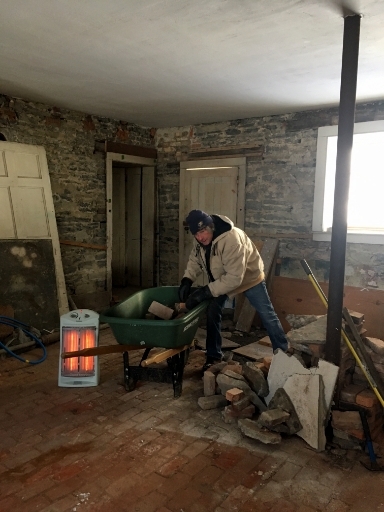 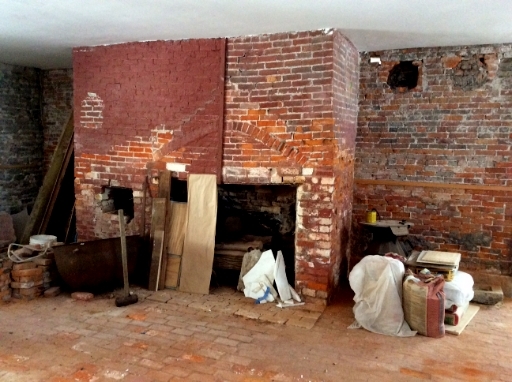 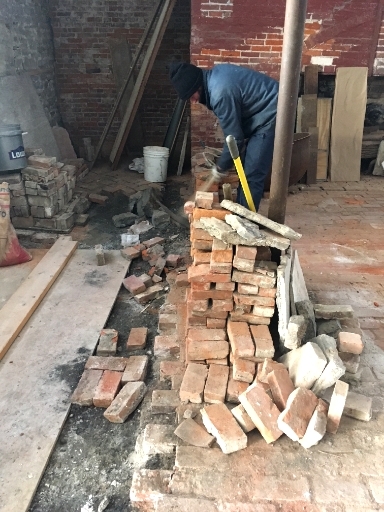 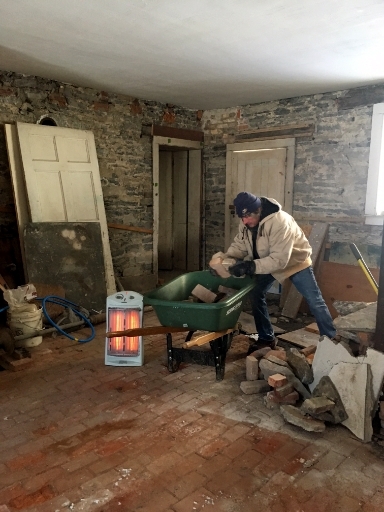 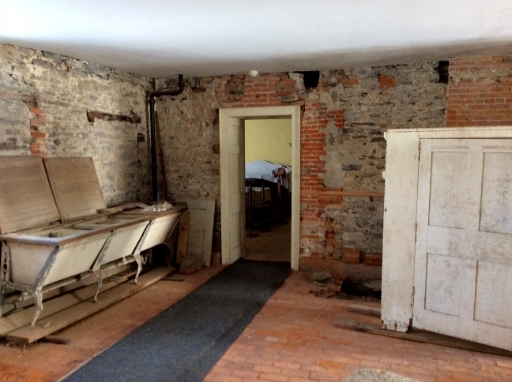 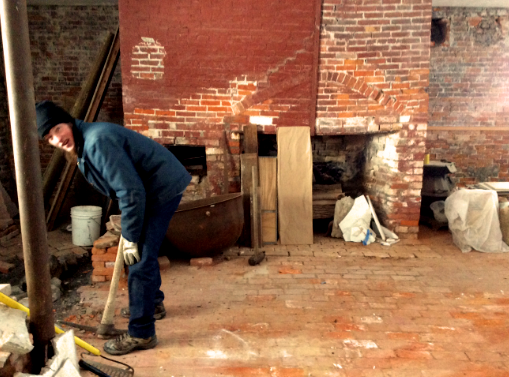 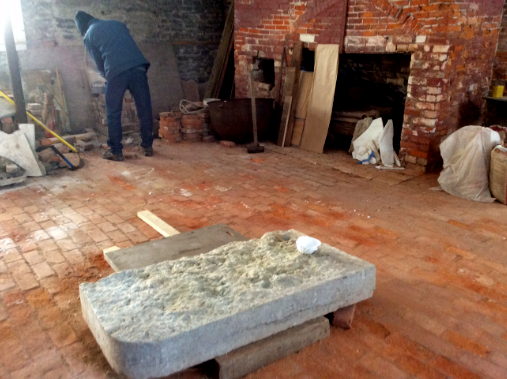 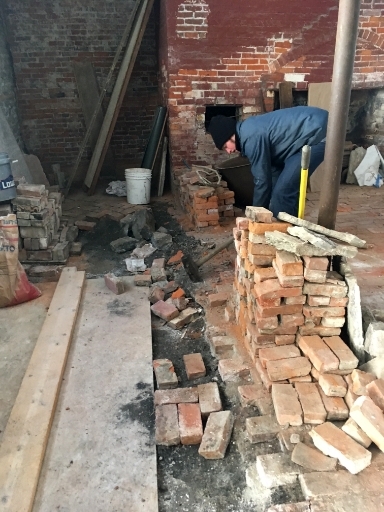 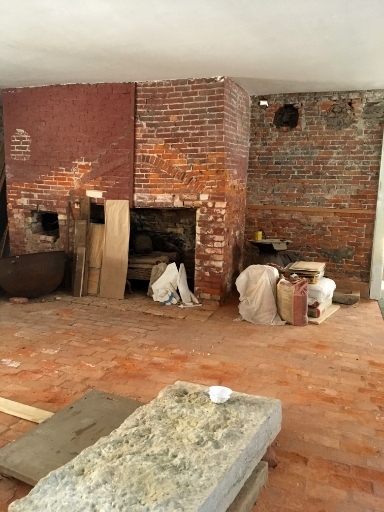 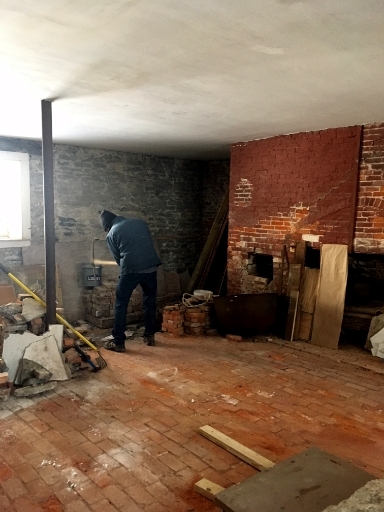 The first step in restoring the brick kitchen is removing the heavily damaged late nineteenth century brick floor. 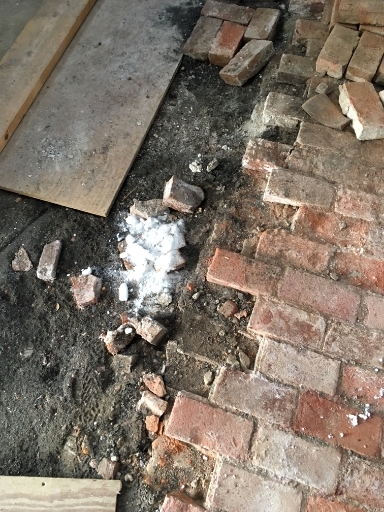 We are investigating what lies beneath before rebuilding the flooring. 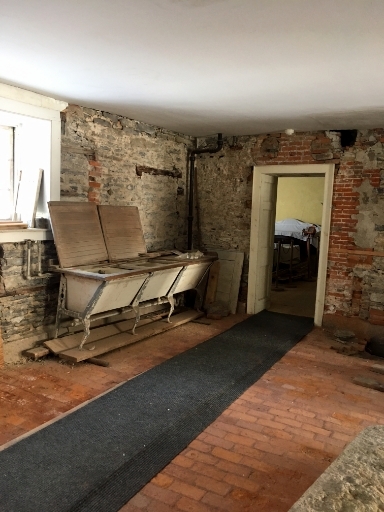 Not yet ready…for prime time or for laundry! 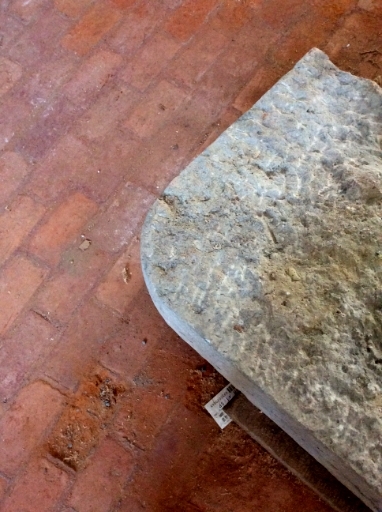 Lightweight building materials…note the chisel marks on the bottom of the stone sink.